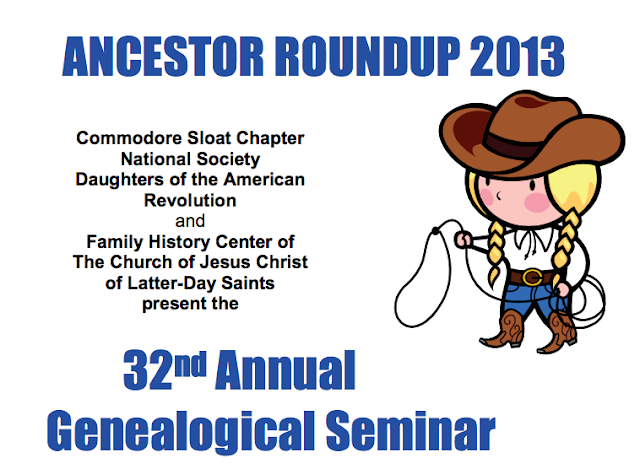 The 32nd Annual Ancestor Roundup Genealogical Seminar will be held Saturday, January 26, 2013, 8:00 a.m. – 3:30 p.m., at the LDS Church, 1024 Noche Buena at Plumas Avenue, Seaside California. Nationally known genealogist, author and college instructor Karen Clifford, AG, is keynote speaker and one of over a dozen instructors at the all-day genealogy conference. Download the 2013 Schedule of Classes. The event is co-sponsored by the Commodore Sloat Chapter, Daughters of the American Revolution, and The Church of Jesus Christ of Latter Day Saints. 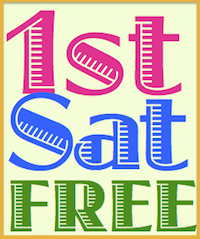 For more information email Serita Sue Woodburn. The National Society, Daughters of the American Revolution granted a charter to the Pacific Grove Chapter on September 29, 1922. In 1934, the chapter name was changed to Commodore Sloat Chapter to commemorate the historical significance of Commodore John Drake Sloat in California history. In 2011, to reflect the historical importance of Commodore Sloat's landing in Monterey, the chapter location was changed to Monterey, California.